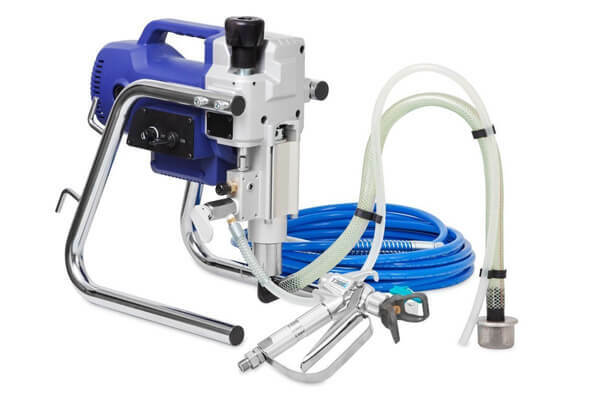 Q-Tech offers you a truly unbeatable spray equipment traditionally smaller machines struggled to cope with thicker premium grade roof coatings, not any-more! 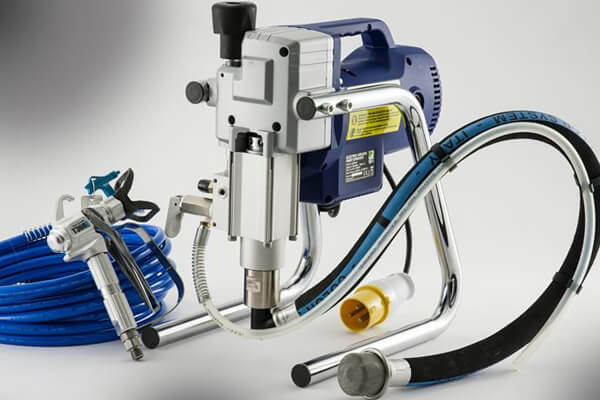 The latest QP019 model not only features a genuine 3000 psi output pressure but also a rigid suction tube for easy set-up and many other features previously only found on more expensive machines. Accurate delivery via the precision machined gun assembly minimises over-spray, reduces "cutting in" time and saves days compared to brush or roller application. Versatility is essential for both professional applicators and advanced DIY'ers alike and the QP019 more than meets that brief: also handles emulsions, acrylic sealers, primers, masonry coatings, timber stains and varnishes with ease. So for versatility and performance at an unbeatable price the QP019 is your passport to a perfect job. With the Q-P019 you can spray a variety of paints Kolourseal roof paint, Masonry, Gloss, Oil based, Emulsions, Stains, Varnish and Primers. 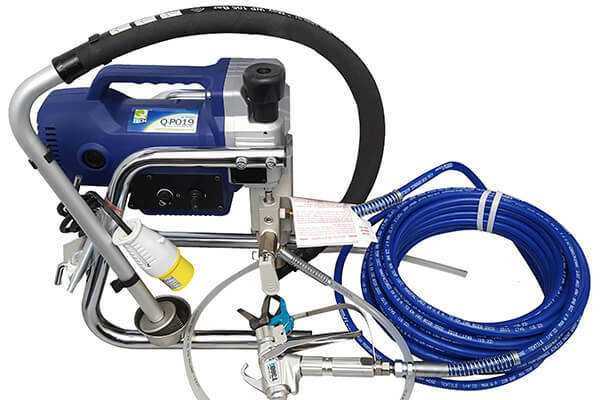 The Q-P019 Airless paint sprayer is manufactured in the UK so getting a service or spare parts could&apos;nt be easier. Helping to keep your kit in great working order and help is just a phone call away with either the machine or technical advice from Kingfisher Uk.